Bihar is a basically state in East India, bordering Nepal. River Ganges divided the same which floods its fertile plains. Important Buddhist pilgrimage sites include the Bodhi Tree in Bodhgaya's Mahabodhi Temple, under which the Buddha allegedly meditated. 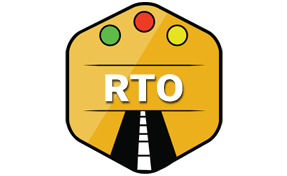 In India, Bihar RTO department was established under Motor Vehicles Act, 1988. The main goal is to execute several laws under the Motor Vehicles Act, 1988. The State Transport Commissioner is the Head of the Transport Department and makes sure that the enforcement of provision under Motor Vehicles Act, 1988. The Transport Department of Bihar provides different services to facilitate the welfare of road transport and safety, such as issuance license, registrations of vehicles, issuance of permits, etc. Transport Commissioner, Bihar Vishwesaraiya Bhawan, Bailey Road, Patna - 800 015, Patna, Bihar 800001.